CitoPress is a powerful hot mounting press, giving high speed and maximum user-friendliness for faster turnaround and increased productive capacity. 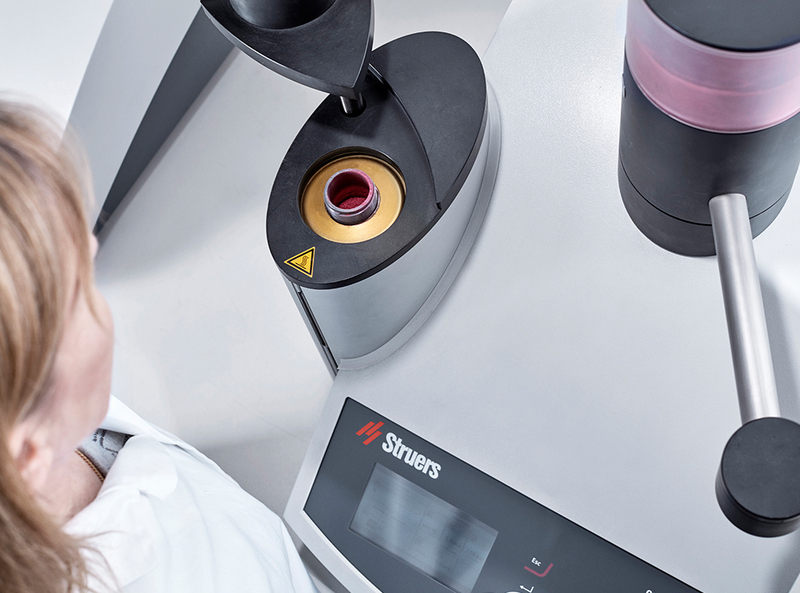 The optional automatic dosing system reduces mounting time by enabling dosing of a preset amount of mounting resin. The user interface includes an informative on-screen Hot Mounting Application Guide for a minimum of errors. CitoPress-30 is an advanced, electro-hydraulic, programmable, dual cylinder mounting press. 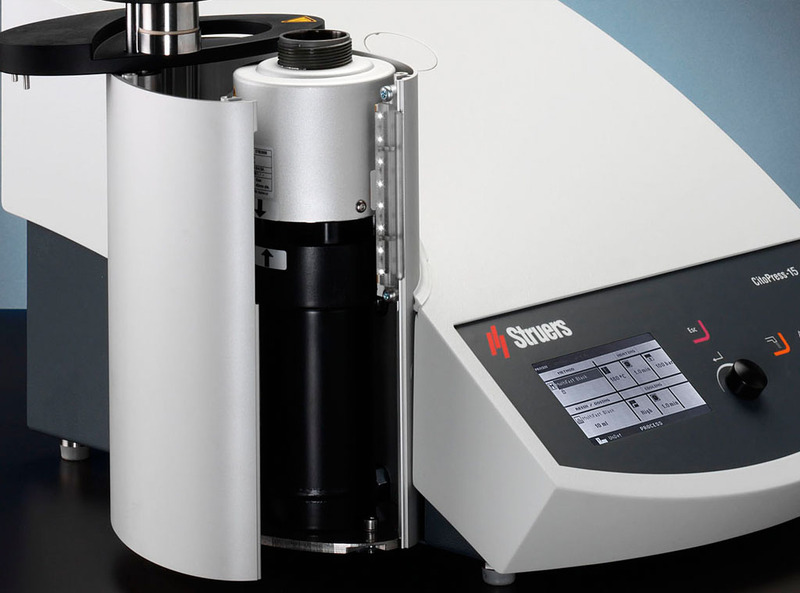 The CitoPress-30 offers total process control, database facilities, and synchronous or independent operation of both cylinders. CitoPress-15 is an advanced, electro-hydraulic, programmable, single cylinder mounting press. 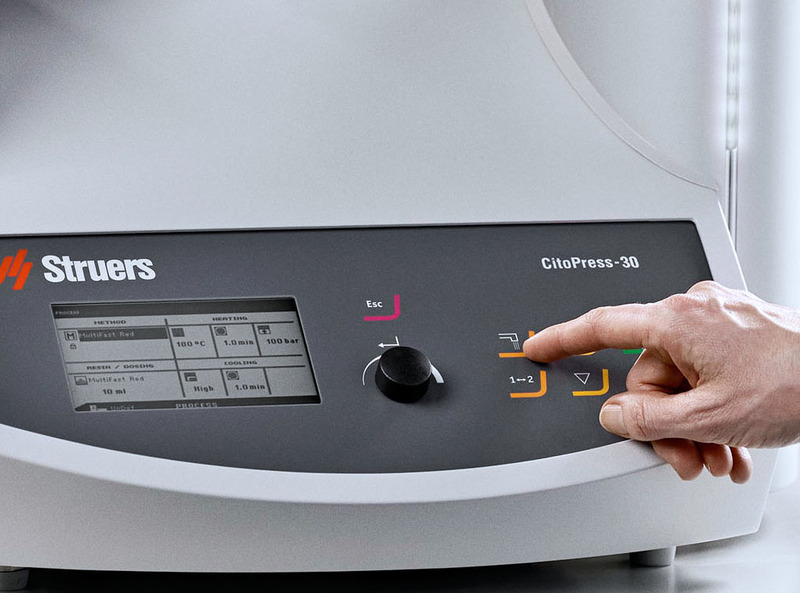 The CitoPress-15 offers total process control and database facilities. CitoPress-5 is an automatic mounting press. The intuitive multifunction knob allows the user to control method parameters (temperature, pressure, heating time, cooling time) individually to ensure full mounting flexibility. 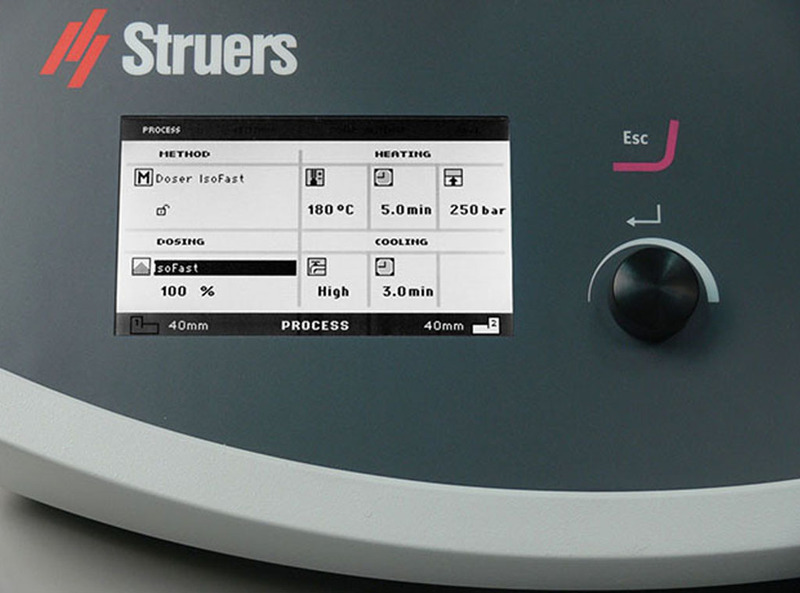 The built-in Hot Mounting Application Guide takes user friendliness to a new level with built-in mounting parameters for all Struers resins. 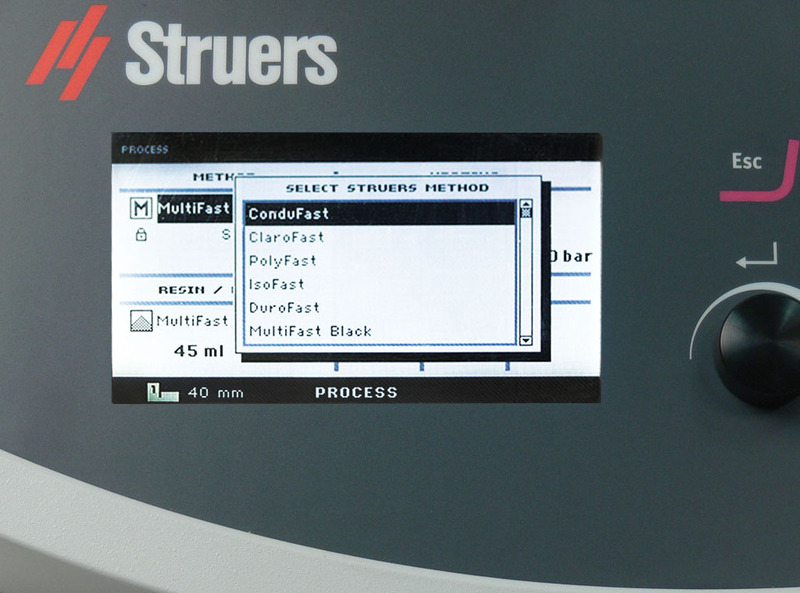 Select the Struers resin, and CitoPress automatically checks the cylinder diameter, adapts the appropriate method, and displays it ready for use. Compact, low-mass mounting units significantly reduce heating time. This means that mounting times can be reduced to nearly one third of the time of competing presses. The optional CitoDoser automatic dosing system enables faster filling of the cylinders and less resin wastage, saving more time by automatically storing and recalling the last used method when the relevant Doser is placed on the press. In addition to time savings, less than half the power is required to heat the mounting unit in comparison with other presses. Three pre-set cooling levels – High, Medium, and Low, match the resin to achieve significant water savings. Medium mode can be used in most cases. The integrated application guide secures faster turnaround, a minimum of errors and the shortest possible setup time. The top closure design eliminates handling problems that can occur on other presses. 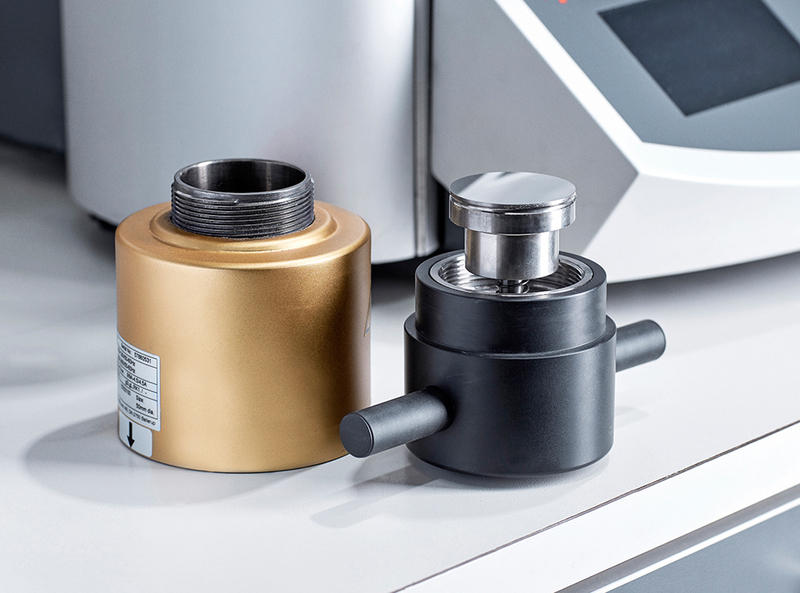 When changing the cylinder dimension, the press automatically detects the new size, and adjusts the method parameters accordingly. The mounting unit tower features an LED bar that illuminates when a process is started and flashes when it is completed. Easy access means quick change of mounting units and easy cleaning. 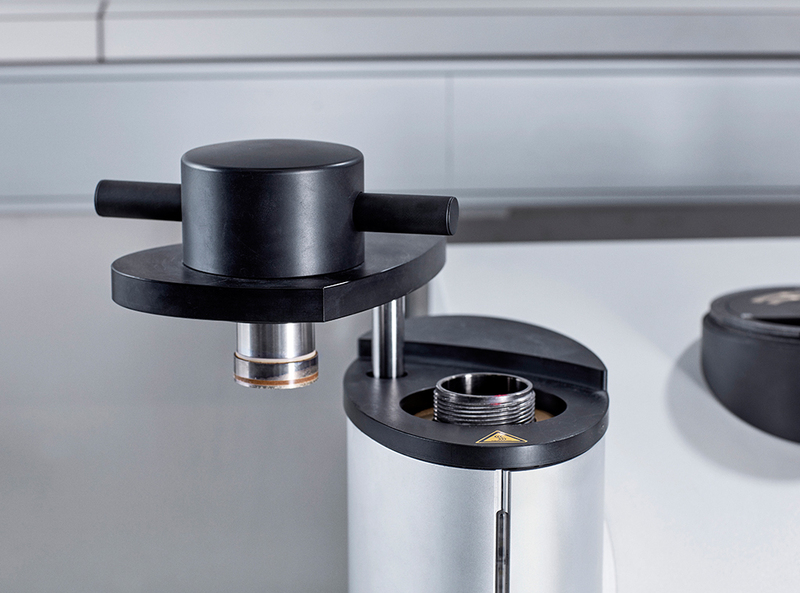 The low build height makes it easy to inspect the inside of the mounting cylinder. The large LCD display and the multifunction knob facilitate fast and easy selection of parameters. 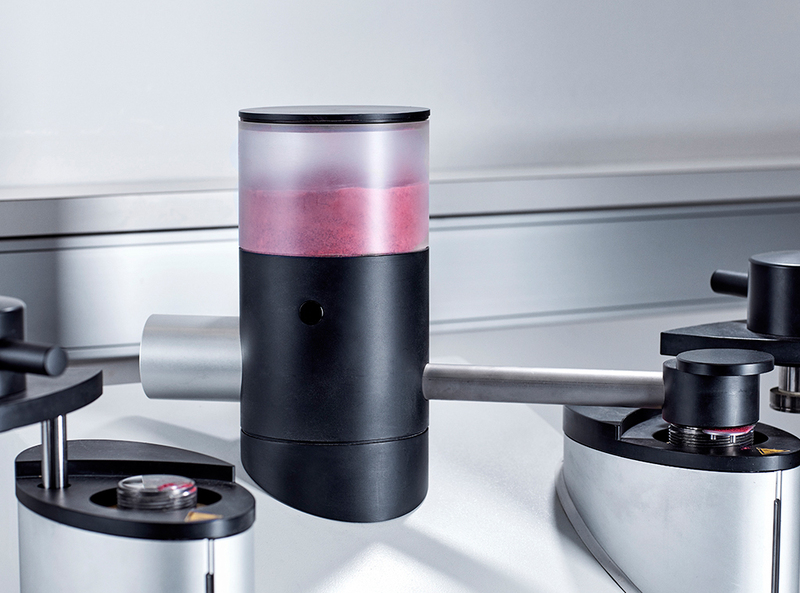 This optional, automatic dosing system enables dosing of a preset amount of mounting resin meaning faster filling of the cylinders and less resin wastage. Combining CitoDoser with the optional HandyDoser means that no spoons or funnels are required. Dosing the right volume is a simple process. The multifunction knob and large display make for intuitive operation. CitoPress is available in three variations. See specifications for details. Automatic, electro-hydraulic hot-mounting press with one cylinder. Mounting units are ordered separately. Advanced, electro-hydraulic hot-mounting press with one cylinder. Built-in Hot Mounting Application Guide with automatic conversion of method parameters. Mounting units are ordered separately. Optional dosing unit CitoDoser and Base Unit, Recirculation Cooling System, Database, and Sensitive mode. Advanced, electro-hydraulic hot-mounting press with two cylinders,which can be used individually. Built-in Hot Mounting Application Guide with automatic conversion of method parameters. Mounting units are ordered separately. Optional dosing unit CitoDoser and Base Unit, Recirculation Cooling System, Database, and Sensitive mode.